Existing Taxpayers of VAT, Service Tax, and Central Excise can enroll themselves on the GST portal. In this article, we look at the online process for GST enrolment. GST pre-migration has started for about 65 Lakhs VAT registration holders, 20 lakhs service tax registration holders and around 3 lakhs central excise tax registration holders. The combined 85 to 90 lakh existing tax payers are expected to migrate to the GST system before rollout of the GST and beginning of process for new GST registrations. Further, provisional identification number have been provided for all existing VAT, service tax and central excise registration holders to complete the migration to GST. To complete the GST registration formalities, a primary authorised signatory must be designated by the business. Te primary authorized signatory is the person who is mainly responsible to perform action on the GST System Portal on behalf of the taxpayer. All communication from the GST Portal related to taxpayer will be sent to the authorised signatory. To enrol on GST portal, existing VAT or service tax registration holders must first obtain a provisional ID provided from the tax department. Provisional ID is provided to all holders of VAT or service tax who have TIN numbers with validated PAN data. 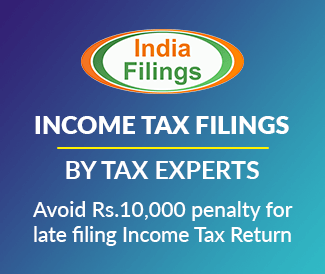 The details of provision ID is made available through the particular State VAT departments VAT portal or ACES portal for service tax registration holders. Once the provisional ID is available along with the temporary password, current assessee’s can access the GST portal and generate a new GST user id and password. While obtaining the new GST user id and password, the applicant must also provide the latest email ID and mobile number. A one-time password (OTP) is sent to the applicant on the stated email ID and mobile number. After OTP verification, the applicant is allowed to create new login ID (username) and password for logging into the GST portal in future. To finish the process, the applicant must provide additional information to generate credentials which can be utilized for regaining the account access in the event of loss of password. After the username and password is setup, the applicant must submit various details about the business like business details, details of partner or promoters, details of authorized signatory, principal place of business and additional place of business, goods and services, bank account, verification of details, etc. The required information along with documents can be uploaded to the GST portal. The application then must be signed electronically by the authorized person utilizing a class 2 digital signature. On successful submission, exclusive application reference number (ARN) will be generated and the equivalent will be intimated on registered email ID and mobile number. On processing of the application, GSTIN is allotted to the applicant. GSTIN is a 15 digit Number, of which first two digit will be State Code, next 10 digit shall be PAN, 13th digit will be entity code in the event of more than one registration in the single state, the 14th digit will be maintained blank for future usage and 15th digit will be a check digit. (Know more about Decoding GSTIN).